This is stupid. 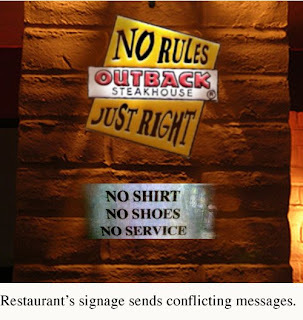 The no rules just right refers to the food. You can order pretty much anything you want how you want it. I dont know about you but i wouldnt want to be eating in a restaurant with snakes crawling around anyways. Dumb article! Certain individuals need to develop a sense of humor.